A gorgeous 85 page book designed by Jason Santa Maria. PDF, ePub, and mobi formats with no dirty DRM. 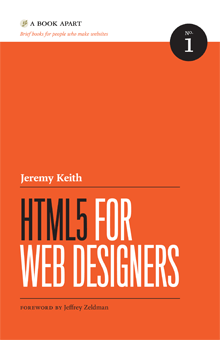 Written by Jeremy Keith, edited by Mandy Brown, designed by Jason Santa Maria with a foreword by Jeffrey Zeldman.